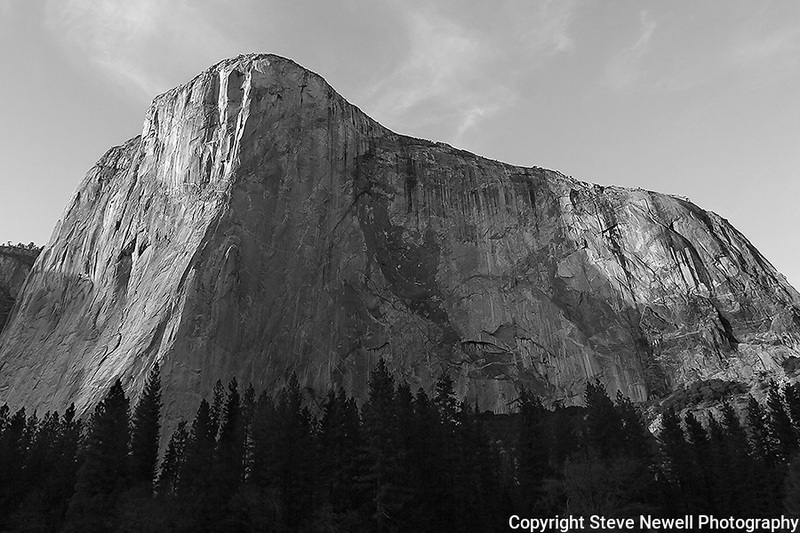 "Capitan's Glory" Black and White El Capitan, Yosemite NP. El Capitan is one of the most spectacular granite monoliths in the world. Climbers from around the world flock to Yosemite Valley every year for a chance to climb this grand spectacle. The most famous climbing route on El Capitan is "The Nose". The route ascends the prow on the sun/shade line to the right of the Heart. The prominent Heart appears as if was carved into the rock but is a natural formation on El Capitan.